Dr. Valerie using the new ultrasound on a patient. Thanks to so many donors from around the globe who gave to see Kapuna Hospital receive this vital piece of diagnostic equipment. 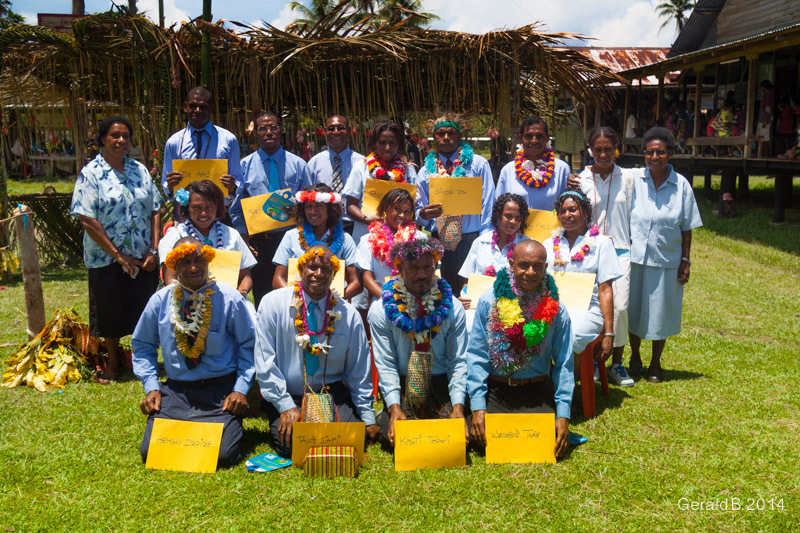 On Friday, February 7th, Kapuna Hospital graduated fourteen Community Healthcare Worker (CHW) students. 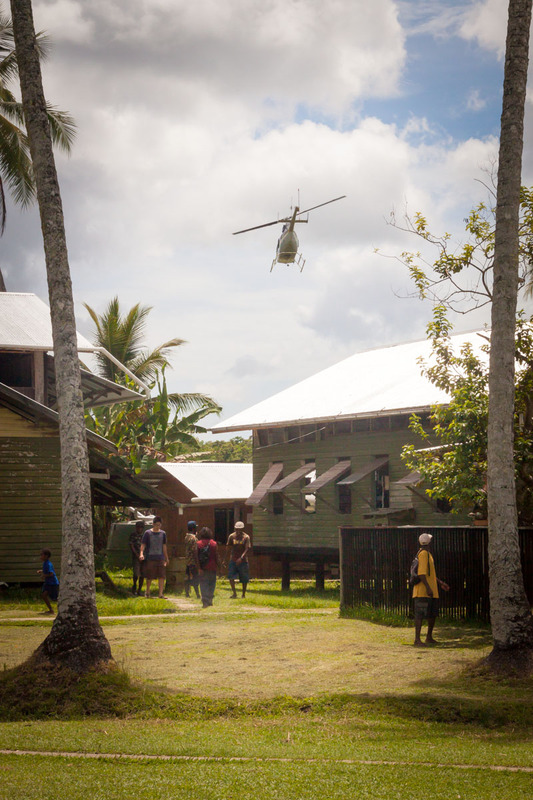 It was the 51st class to walk up and received their certificates, marking how significant Kapuna training schools have been to the healthcare of the Gulf Province, as well as, the rest of Papua New Guinea. 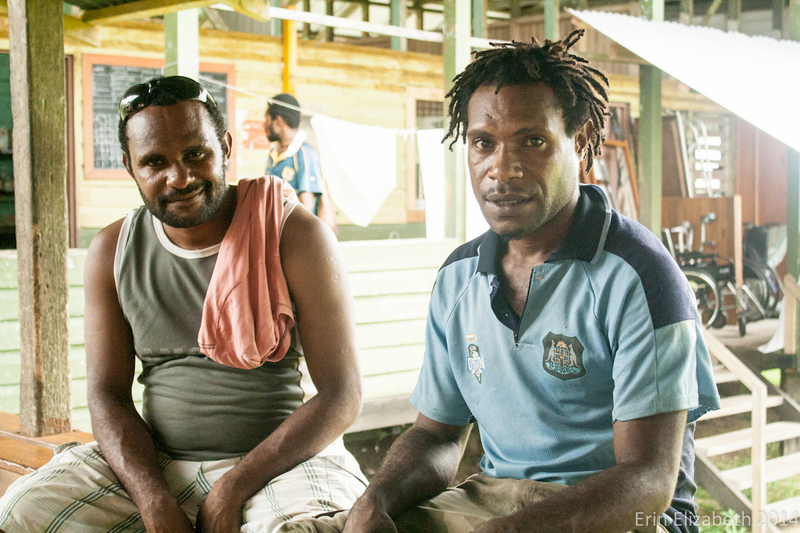 The goal of all CHWs is to see holistic care provided for the rural population of PNG. Celebrating graduation from CHW training! Hospital. After, they will distribute throughout the nation to join the local staff at one of many healthcare stations. We believe they have been set up well to take on the challenges of rural stations and are excited to see all of them in action. 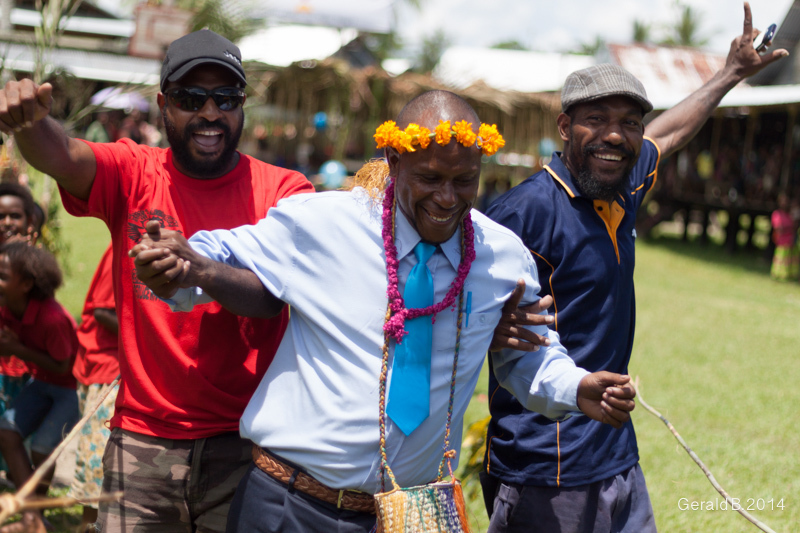 Of course, Kapuna Hospital knows that our desire to see PNG healthcare improve is not a challenge we fight alone. We want to thank partners including: Interoil, who supplied transportation of material from Port Moresby; the Training Division of the Government, who gives financial and material support; Baimuru Health Center staff for their training and knowledge shared; and our family at Kikori Hospital, who worked alongside our students to teach and develop their skill. 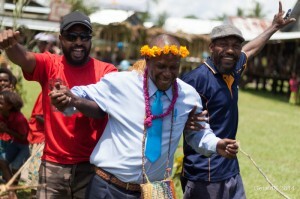 We are blessed to have been training PNG students for over 50 years and hope we can continue for another 50. Hello! I’m a U.S. medical student finishing up my last year of school, and I’m wrapping up a 7-week tropical medicine elective here at Kapuna. – Bring your old hospital scrubs or other clothes you don’t mind getting grubby. All your clothing should be loose fitting (culturally appropriate), and pockets are always useful. Leave your white coat at home. – Bring a head lamp. It’s useful for difficult deliveries or surgeries in poor lighting. – If you have extra small hands or extra large hands, bring your own gloves. If you have a latex allergy, bring your own latex-free. – Bring eye covers/protectors, shoes covers (the orthopaedic knee high covers would be best). The masks here don’t have eye protectors, and we operate barefoot in cotton dresses. – Bring a pocket size pharmacopedia and/or tropical medicine handbook. – Bring a small bag you can carry your stuff in during rounds. – Bring multiple pens. There aren’t many spare to go around if you run out of ink or lose any. – Urine dipstick test strips. The humidity spoils them quickly here. – Your own suture with needles. There are straight, round bodied, needles with eyelet holes you need to loop your own suture in here. The suture is also old and may break with little tension. – Gloves. The disposable gloves are washed, sundried, and reused, which renders them to fall apart easily. – Bring long socks. The sandflies love the feet and ankles. – Bring energy bars. It’ll take you at least a week to get used to the diet. Dingy trips can also be long, so energy bars are useful portable meals. – If you’re not so keen on being a vegetarian, bring your own meats like jerky. Fresh fish, chicken, and eggs are treats. You may not be keen on canned fish or beef. – Bring your antimalarials. Take a trial dose before coming to make sure you don’t have intolerable side effects. Bring sun screen if you’re taking doxycycline. – Spray your clothes and shoes with permethrin clothing spray. Helps keeps the buggies away. – Bring a flashlight. Solar ones are best. If not, bring spare batteries as they’re not always in stock here. – If you’re a light sleeper, you may want to bring ear plugs for the chorus of frogs and chickens at night. 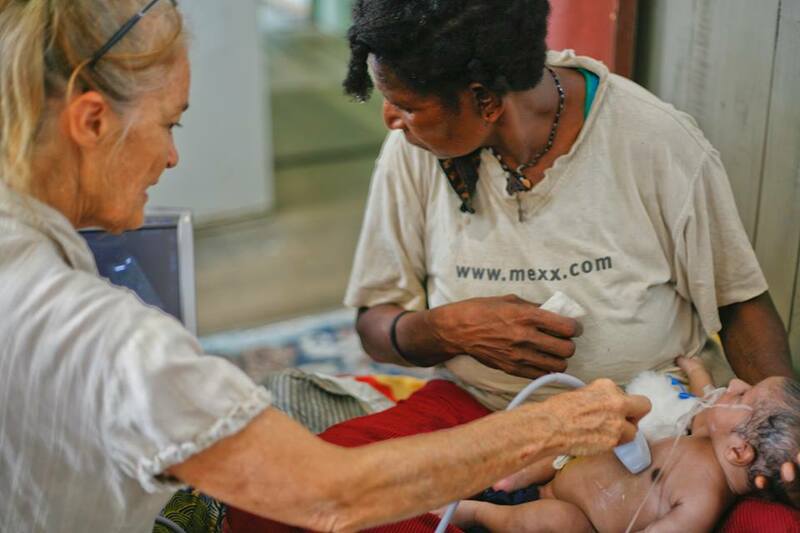 – If you mind sleeping on the floor, bring a compact camping mat for work in the villages. – Bring a good quality umbrella. Useful for the pouring rains during rainy season, and for keeping the sun off during hot season. – Bring flip flops or water sandals. Quick drying water sport shoes work well. – Bring at least 5 outfits. There is laundry machines here but it takes days for your clothes to dry on the line during raining season. – Bringing your own laptop is useful as there are not always spare ones. – Best way to avoid luggage getting lost is to bring only carry-on. – Bring a small towel if you want to shower at the Brisbane airport showers. – Exchange your currency for Kinas at the Jackson Airport in Port Moresby upon arrival. Do not exchange them at Australian airports because the exchange rate is horrible. – If someone is picking you up at the Port Moresby airport, they will be waiting outside. Visitors cannot go inside the airport. – Bring extra cash. The PNG websites for visa fee upon arrival is not up to date. You need to pay for transport costs by dingy which can vary with fuel prices. Toilet paper is 1 kina per tiny roll. There’s a small market and store to shop at also. – Baby diapers, especially the washable, expandable for multiple ages type. – Long skirts and bras for the women, pants and belts for the men, tops, rain ponchos, umbrellas. The clothing sold here is second hand and extremely well used by the villagers. – Everything tends to smell and look moldy. – Be prepared for lots of bugs of all types. – Don’t be afraid of the stained plastic toilets. It’s mold, not unflushed stool. Be prepared to use the bush or squatting outhouses in the villages. – Ask before you pluck a fruit tree. Trees belong to people. Same with the hens’ eggs. – No one licks their lips when they stare at you. Don’t be afraid of the cannibalism stories; those days are behind us. They’re really quite friendly. – Rainy season is very muddy. There are rain boots (gum boots) to borrow here. – When you take pictures of the villagers, make sure you show them the photos. They love it. Enjoy the people, the culture, the wonderful fruit. Learn lots about everything, not just medical things. Be patient with the languages. Appreciate the staff. There are only a handful of staff for countless needs. Eat the food and be thankful for it. Smile. Be humble. Keep a blog or journal. Take lots of pictures. Hope you find these tips helpful!